This program reviews the Stress-Reduced Direct Composite (SRDC) protocol on both anterior and posterior teeth. The two hands-on sessions allow clinicians to become familiar with a predictable composite layering technique for the restoration of large size cavities. The masters demonstrate the SRDC protocol for structurally compromised anterior and posterior teeth. Attendees observe a step-by-step technique while the masters replicate some clinical cases shown through both slide and video presentations. A great chance to gain the biomimetic skills and knowledge for mastering the technique. Participants can see the inventor of the SRDC protocol working on his patients to solve challenging clinical cases. 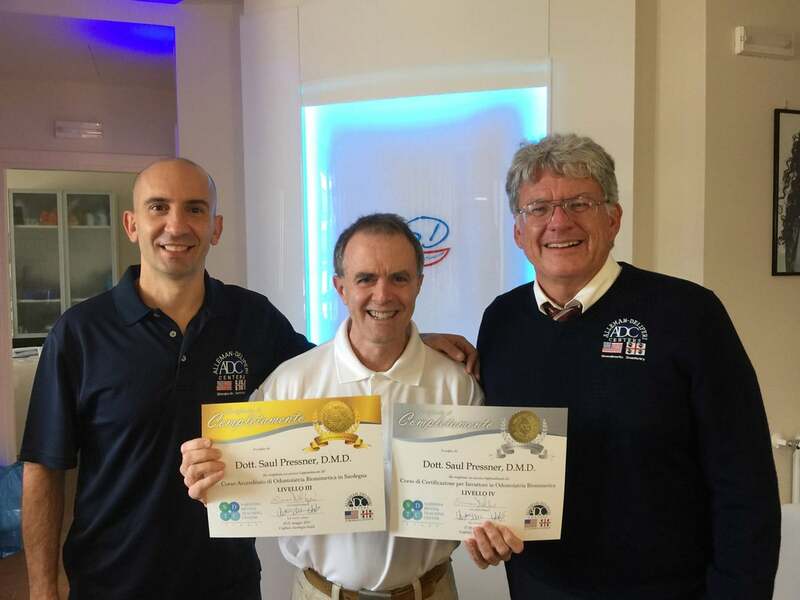 The most advanced protocols, the tips and tricks of extreme tooth preservation and composite layering can only be learned at the Sardinia Dental Teaching Center. This program is designed for dentists wishing to achieve excellence with direct anterior composite restorations. The final aesthetic outcome of an anterior restorations depends on the combination of the final form of the restoration with the color selection, tooth anatomy and the thickness of each composite shade. Clinicians should have a precise idea of the form of the final restoration in their mind before starting color selection and composite layering (Deliperi, 2011). Current evidence-based research supporting this technique will be presented. Completion of the course should provide attendees with the skills to “go resin” in most direct anterior applications and confidence to achieve consistent long-term success. The stress generated from polymerization shrinkage and the lack of adequate protocols have discouraged many clinicians from selecting a direct technique for the restoration of class II cavities for many years. However, stress-reducing direct composite (SRDC) restorations have been proposed as a valid alternative to indirect resin-bonded composite restorations (Deliperi & Bardwell, 2002, 2006; Deliperi, 2008; Deliperi & Alleman, 2009; Deliperi, Bardwell, Alleman, 2012; Deliperi 2012). The goal of SRDC biomimetic restorations is to adopt protocols able to maximize the bond and minimize the stress in an attempt to mimic the functional and optical characteristics of the intact natural tooth. Both the maturation of the bond , the strategic layering and curing protocols are the milestone for stress reduction on the residual cavity wall. After two decades of clinical success with SRDC, clinicians can confidentially preserve the remaining sound tooth structure in both medium, large size restorations and cusp-replacing restorations to either resist the mode of failure or mimic the performance characteristics of the intact natural tooth! Six basic steps will be followed during the hands-on course to complete stress-reduced direct composite (SRDC) restorations: 1. Analysis of the occlusion and opposing dentition; 2. Cavity preparation and caries removal endpoints; 3. Analysis of residual tooth structure; 4. Preparation of the dental substrate to achieve a reliable bond to enamel and dentin; 5. Control of polymerization stresses by using appropriate layering and curing techniques; 6. Occlusal force equilibration (Deliperi 2012). With a solid scientific background in mind and a continuous training, clinicians may perform restorations able to recover the original strength of the natural teeth. 4. The Biomimetic Restorative Dental Paradigm. We will review each area and present 27 key scientific facts that have been established from the scientific literature. These facts are the foundation of the Alleman-Deliperi protocols which biomimetic restorative dentistry is founded on.